Thank you for all who made our 2018-19 Invest campaign a success. Your funds go directly into our children’s classrooms and help our teachers purchase new Montessori materials and educational tools used by our students every day. Our children become innovators and creators, and we get to witness the unlocking of true potential! Your contributions also support teacher enrichment for our staff members. 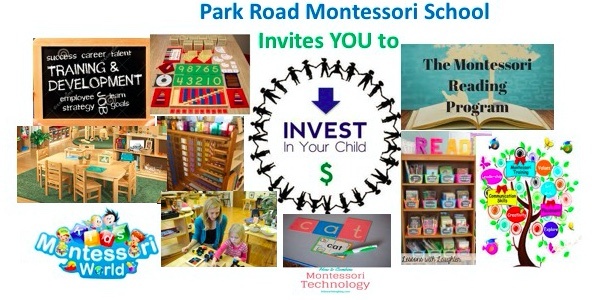 It is a promise of Park Road Montessori PTO to support and celebrate the Montessori tradition of education and ensure our children have the necessary tools they need to grow. Please share the Invest In Your Child video and donation page through your Facebook and social media outlets. Friends and family may want to invest in our wonderful school as well! Thank you for investing in your child!